“A lady bit down on a pit in an olive …” may sound like the opening line to a bad joke, but the defendant she sued for her injuries appears to have had the last laugh. The plaintiff filed a personal injury claim against the defendant in California state court for products liability and pursued theories of strict liability, negligence and breach of an express written warranty. This claims arises from plaintiff’s purchase of several cans of “Lindsay’s Large Pitted Olives” that she planned to serve during a party. The plaintiff alleges to have taken an olive from the platter she prepared, bit down on the olive once, and felt her tooth crack on the pit of the olive. During her discovery deposition, the plaintiff testified she had no idea that a pit would be in an olive. 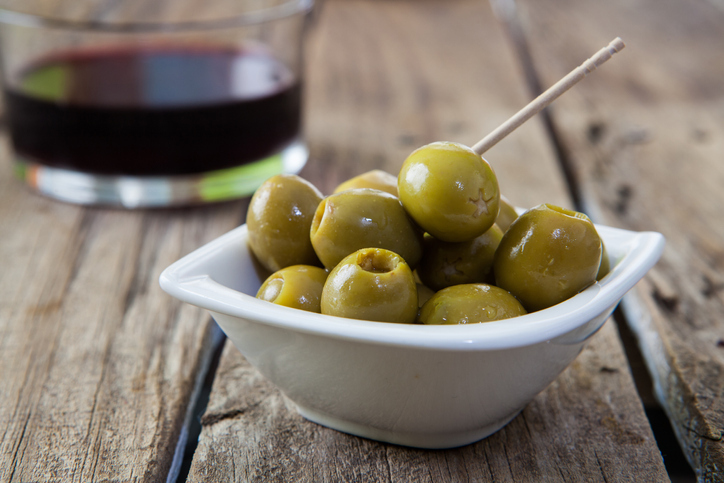 The plaintiff further stated that she cooked with olives “all the time,” and never experienced an occasion when a “pitted olive” actually contained a pit. During discovery, the defendant produced evidence regarding the detailed process of pitting and canning its Lindsay Large Pitted Olives. The defendant also produced undisputed evidence that each of the cans of the Lindsay Large Pitted Olives was sold with a label that states “Caution, Look Out for Pits”. In February of 2016, defendant filed a dispositive motion arguing there was no evidence that defendant breached its duty of care under the theories of strict liability and breach of warranty because the pit is a natural part of an olive. Here, the defendant upon the California Supreme Court precedent that a person injured by the natural part of a food item “may recover in negligence, but she is categorically barred from recovering damages based on theories of strict liability or breach of warranty”. Mexicali Rose v. Superior Court, 1 Cal. 4th 617, 633, 822 P.2d 1292, 1303 (1992). With respect to the strict liability and breach of warranty theories, the plaintiff opposed the motion arguing that defendant mischaracterized the olive that caused her injury as “pitted”. The plaintiff conceded she could not establish that the defendant was negligent and abandoned that cause of action. The plaintiff further argued, among other things, that the Mexicali Rose standard should not be applied in this case as (i) the Mexicali Rose court limited it’s decision to a “restauranteur”, (ii) a pit is not a natural substance because it is foreign to and not reasonably expected to be found in a pitted olive, and (iii) the defendant was liable for failing to warn the plaintiff about the presence of a pit in the pitted olives. The trial court granted defendant’s motion for summary judgment under the Mexicali Rose standard and plaintiff appealed. Upon appellate review, the Court of Appeal, First District, Division 4, California rejected the plaintiff’s arguments and affirmed the defendant’s judgment was affirmed. In addressing a few of the plaintiff’s arguments, the Appellate Court reasoned that while the Mexicali Rose decision was limited to commercial restaurant establishments, its reasoning was later extended to retail food suppliers in Ford v. Miller Meat Co. (1994) 28 Cal.App.4th 1196. Here, the Ford court also emphasizes the distinction between foreign and natural food substances. The Appellate Court further outlines that the “plaintiff’s strict liability failure to warn theory was inconsistent with the governing principles outlined in Mexicali Rose, which preclude her from relying on any strict liability theory to recover damages for an injury caused by a natural substance in a food product. Steele cannot avoid this controlling precedent by mischaracterizing her failure to warn theory as a distinct ground for imposing liability on defendant”. [Citation Omitted]. As we have now seen in California, courts are taking a firm position in following this Mexicali Rose standard, which precludes the plaintiff from recovering damages on theories of strict liability and/or breach of warranty where the plaintiff is alleging personal injuries from a “natural” part of the a food item. Only the Westlaw citation is currently available at 2019 WL 312146.